Μaria Chatzi shares with us step-by-step instructions to create "The granates" bookmark, inspired by the fairy-tale "I Myrsini kai i rodia i eulogimeni". 3. 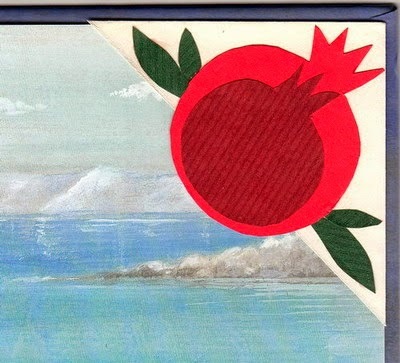 Also, draw a pomegranate on the scrap piece of dark red craft paper but a smaller one this time. Cut this one out with your scissors too. 4. 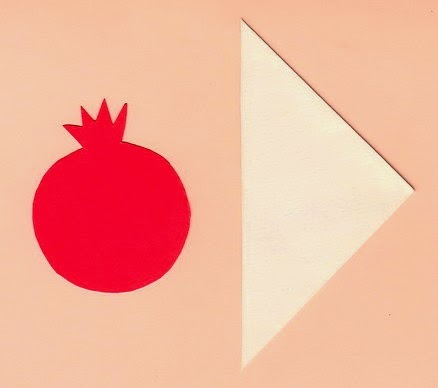 Glue the bigger pomegranate on the triangle (you’ve cut from the corner of the white envelop) and the smaller pomegranate on the bigger one. Wait till the glue has dried.